Aiken as Klaus, and Kara and Shelby Hoffman (as baby Sunny). The feature made $200 million globally, but additional films were never made to incorporate the other ten books in the series. The film received mixed reviews from fans. Many loved Carrey's over the top performance as the actor-slash-criminal Olaf. Some praised the gothic visuals. But overall, most fans were disappointed in the way the film rushed through the source material. 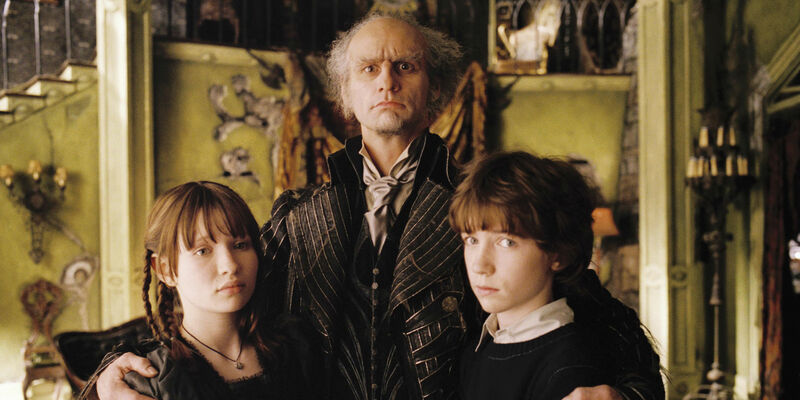 However, it doesn't matter if you liked or even saw the film because Netflix's A Series of Unfortunate Events is not connected to it. The show is a remake; it uses the same books, but it has a different cast and a (mostly) new creative team. Paramount is still involved, although this time it is their television division that is producing the show. No prior knowledge of the film or even the books are needed to watch this new take.